In this paper we present an introduction to the physical characteristics of sound, basic recording principles as well as several ways to analyze digital sound files using spectrogram analysis. 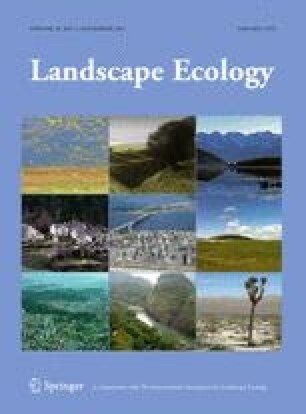 This paper is designed to be a “primer” which we hope will encourage landscape ecologists to study soundscapes. This primer uses data from a long-term study that are analyzed using common software tools. The paper presents these analyses as exercises. Spectrogram analyses are presented here introducing indices familiar to ecologists (e.g., Shannon’s diversity, evenness, dominance) and GIS experts (patch analysis). A supplemental online tutorial provides detailed instructions with step by step directions for these exercises. We discuss specific terms when working with digital sound analysis, comment on the state of the art in acoustic analysis and present recommendations for future research. The online version of this article (doi: 10.1007/s10980-011-9636-9) contains supplementary material, which is available to authorized users. Development of acoustic metrics for the Tippecanoe Soundscape Study was made possible from a National Science Foundation III-XT grant to BCP. Funding for sensors used in the Tippecanoe Soundscape Study was obtained by a grant from the Lilly Foundation to Purdue. Funding to support JD came from the Department of Forestry and Natural Resources. The authors greatly acknowledge the input on an earlier version of this manuscript by Brian Napoletano. Jim Plourde assisted in data collection for the Tippecanoe Soundscape Study.